In order to ensure objectivity, WIC is applying the principles of evidence-based medicine to public health nutrition. Evidence-based medicine is now being used to judge features of public-health nutrition. 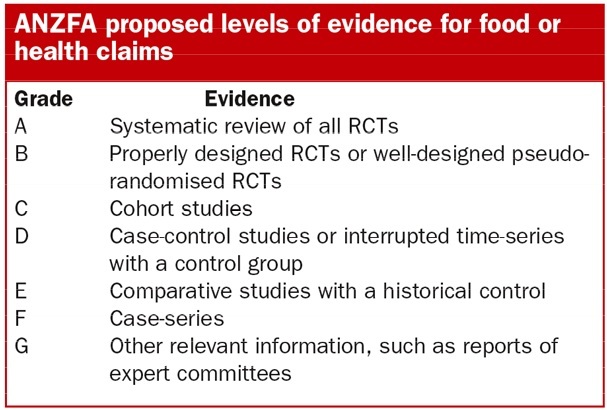 In 2000, the Australia New Zealand Food Authority (ANZFA) established levels of evidence for interpreting nutrition research, which seem appropriate for the WIC purposes to select the relevant scientific studies for the WIC website. Agreement to apply appropriate principles of evidence-based medicine to public-health nutrition will ensure objectivity. Alcohol related randomized controlled trials (RCTs) on health related endpoints have the highest evidence and if available will be presented with priority. Because RCTs are rare, emphasis is placed on observational epidemiology.